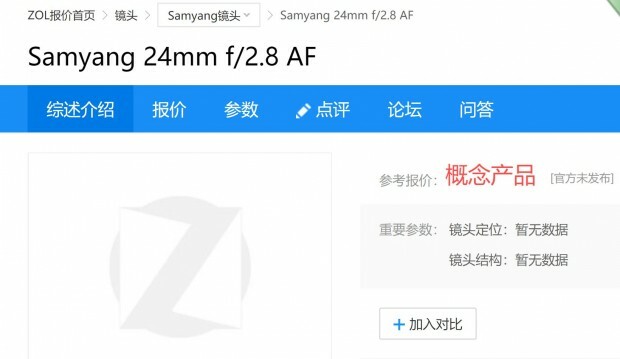 Samyang AF 24mm f/2.8 FE Pancake Lens to be Announced Next ! Samyang is rumored to announce a new lens for Sony full frame mirrorless cameras. 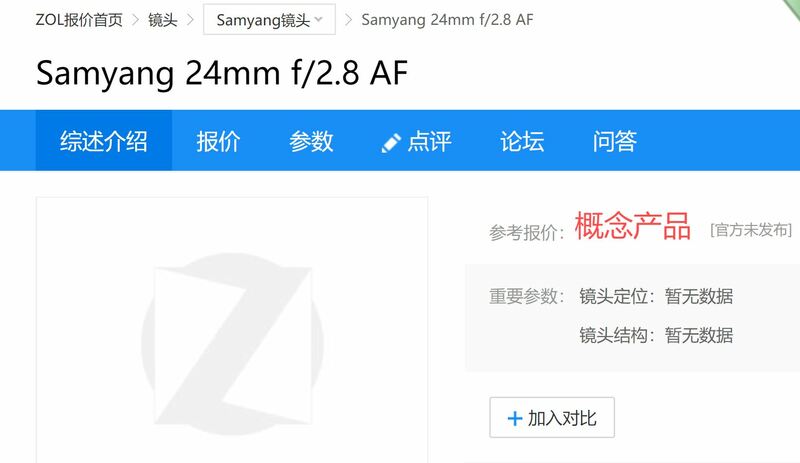 This new lens is Samyang AF 24mm f/2.8 FE lens, will have same size as Samyang AF 35mm f/2.8 FE lens. Samyang AF 50mm f/1.4 FE & 14mm f/2.8 FE Lens Announced ! Samyang AF 35mm f/1.4 FE Lens Announced ! Samyang AF 24mm f/2.8 FE Lens Announced ! Previous Previous post: Nikon D5 Firmware Update Version 1.30 Available ! Next Next post: Leica C-M Full Frame Mirrorless Camera to be Announced in June !